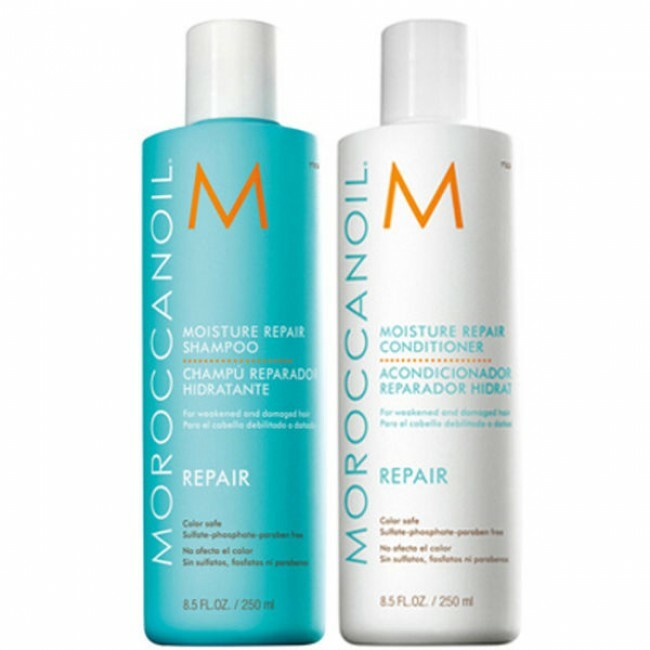 Perfect for anyone who suffers from dry, damaged and over-styled hair, the Morrocanoil Moisture Repair 500ml Duo Set helps to resore moisture levels and leave your hair with a healthy shine. Enriched with argan oil, keratin, fatty acids and proteins, it gently cleanses your hair to leave it soft, shiny and full of bounce. Moroccanoil Moisture Repair Conditioner 250ml: Formulated with the same ingredients as the matching shampoo, it gently de-tangles and reconstructs your hair to get it back in prime condition. Rich and luxurious, your hair will be left wonderfully soft and easy to manage. Intensely nourishing, the rich blend of ingredients work together to deeply condition, hydrate and leave your hair feeling full of vitality.